We provide help for companies that want to become payment facilitators. You’re miles ahead of the competition when you start with the UniPay gateway. We can also help you build banking relationships and guide you on which processes you must put in place to function efficiently as a payment facilitator – including merchant onboarding, processing, chargebacks handling, funding and more. In fact, becoming a payment facilitator means dealing with three crucial matters: developing banking relationships, implementing the best possible platform and training your team to operate efficiently. We can help with all these things, and the UniPay platform can be the technology on which your entire payment processing business rests. Our commercial open source software is flexible enough to meet the needs of many kinds of businesses. Customize it to your precise needs or let us adapt it for you. You can start the process of becoming a PayFac on your own, bringing together the resources, connections and integrations you need – and dealing with governmental and industry regulations without outside assistance. That path isn’t impossible. But it takes many months and thousands of dollars. 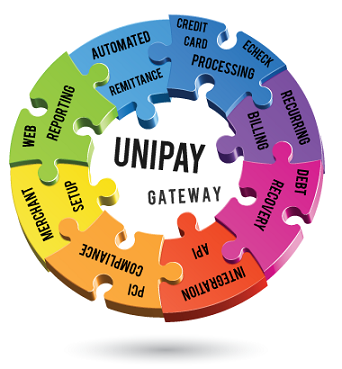 Skip ahead by choosing the UniPay gateway and benefiting from the deep and wide expertise of our team. With our solution, much of the foundation work is done for you. In fact, we can even provide complete white label payfac services, the quickest approach and one that presents the fewest hassles for you. You choose the level of service you need from us and how to best use our robust and feature-rich product. No matter how you involve the UniPay gateway and the United Thinkers team in your PayFac implementation, you’ll be speeding along the process of getting up and running. You’ll be smoothing the road too. No company is in a better position to provide products and services that assist with becoming a payment facilitator. If you’re ready to explore how we can help with your PayFac implementation, we’re ready to help. Contact us now for a demonstration of what the UniPay gateway can do and a discussion of how our product and our team can help you reach your goals quicker, easier and with fewer hassles than you ever thought possible. United Thinkers provide help for companies that want to become payment facilitators. Discover how our team can assist you to become a PayFac.